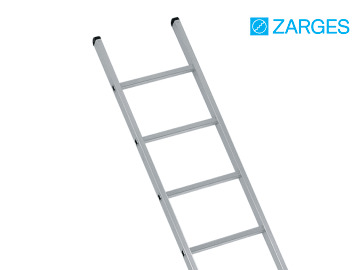 The Zarges Industrial Single Ladder is lightweight but still extremely stable. Its replaceable 2-component plastic end caps ensure positioning without risk of slipping and at the same time provide firm seating in the stile. 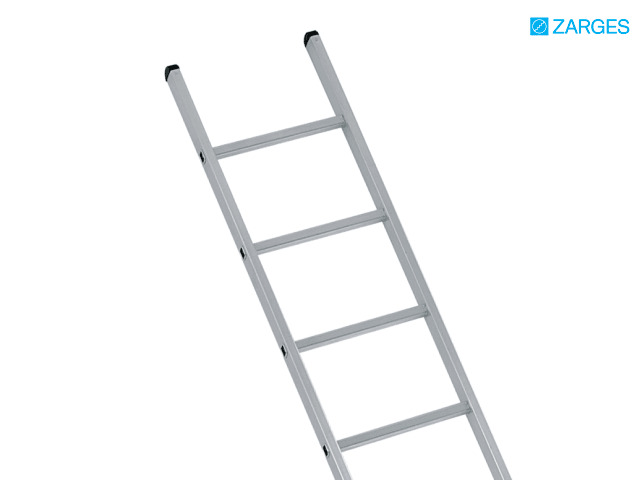 The ladder features ZARGES high strength quality triple formed connection between rungs and stiles. These rungs and stiles are made from extruded aluminium section providing excellent strength. They conform to EN 131 standards, with a 150kg rating. Due to new EN 131 standards, all extension ladders above 3 metres will be supplied with a stabiliser bar. Due to new EN 131 standards, all extension ladders ABOVE 3 metres will be supplied with a stabilser bar.